In Rabindranath Tagore’s famous story, Kabuliwallah got dry fruits from Afghanistan. In my version of this story, not one but four Kabuliwallahs got something even better - a fantastic repertoire of Afghan cuisine. In an exchange program facilitated by the Indian embassy in Kabul, a team from the Intercontinental Kabul flew to New Delhi to showcase the culinary beauty of their country. 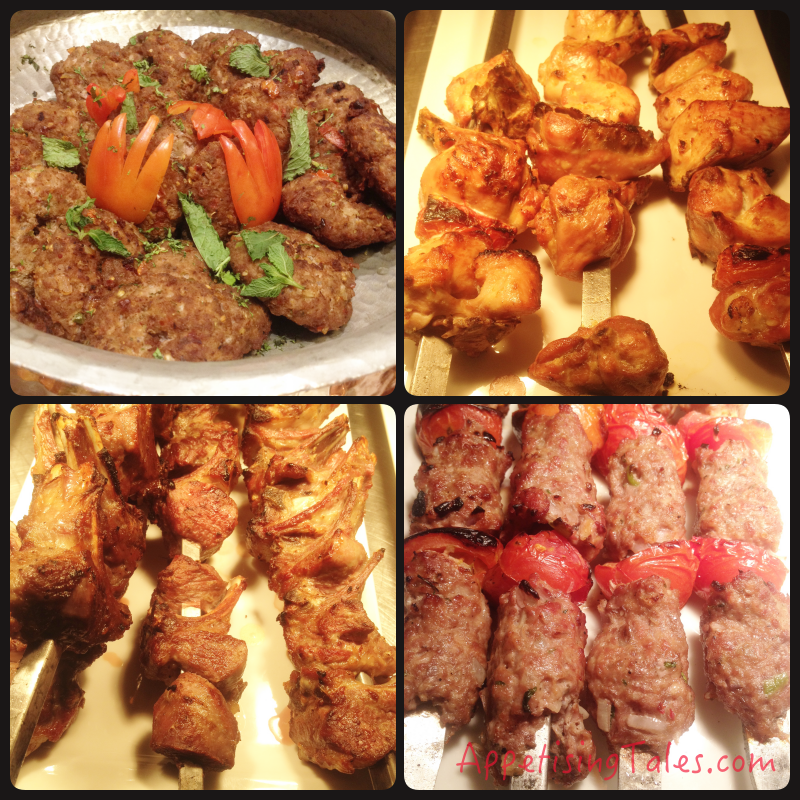 At The Afghan Culinary Legacy, the 10-day food festival held at The Pavilion, ITC Maurya, Mohammad Agha (team leader), Chef Hashim, Chef Nehmat and Chef Haji Qadir churned out some of the tastiest kebabs I’ve ever had. 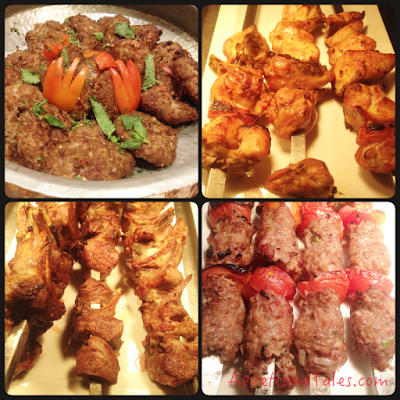 One experienced a beautiful medley of spices and subtlety of flavours in the most succulent kebabs. What I found most interesting is that instead of heavy masalas the meats are marinated and tenderized only with salt and pyaaz ka pani (onion juice). This allows the natural flavours of the meat to shine through. Such is the simplicity of this cuisine that Chef even confessed that the strong aroma of the masalas in the Indian kitchen can alter the flavour of their dishes. Even with the minimal use of masalas each kebab has a distinct flavour due to the variations in the quantities of onion and garlic in each recipe. While the chapli kebab is a patty of minced mutton with liberal use of chopped onion, the chicken kebab is a variation of our tandoori chicken but without the quintessential yoghurt or spicy tandoori masala. The seekh kebab too features chopped onion aplenty and is very juicy. Finally, the mutton chops, that our server insisted on calling 'burrah' are far from that. They remind me of the Kashmiri tabakmaaz. Seasoned just with salt they are outstanding. The Afghani qormas also offer subtle flavours. Whole cloves of garlic, big pieces of ginger and coarsely chopped tomatoes add a rustic appeal to meats cooked in ghee. 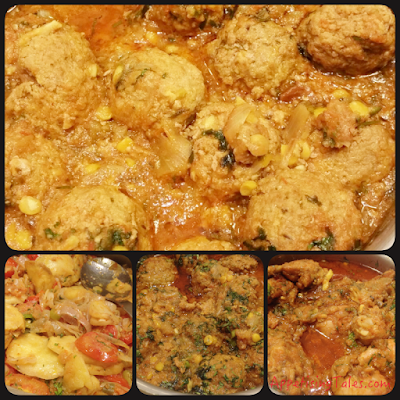 The Kofta Qorma and Mutton Qorma make for hearty comfort food. The pulaos! The veg and non-veg versions of dryfruit laden rice dishes with sweet and tangy garnishings like zereshk, raisins and orange rind may be an acquired taste but work very well for my palate. I love them all. 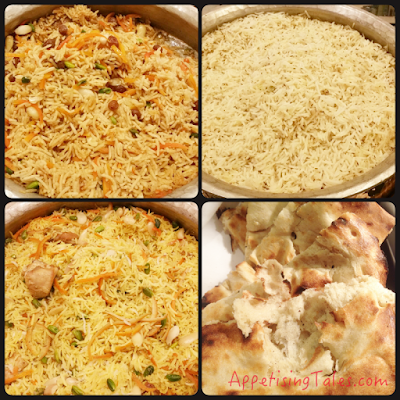 Although they complement the qormas beautifully I even relish the kabuli pulao on its own. Made in ghee with sela rice and sprinkled with kishmish, badaam, pista and carrot, each bite bursts with flavour. 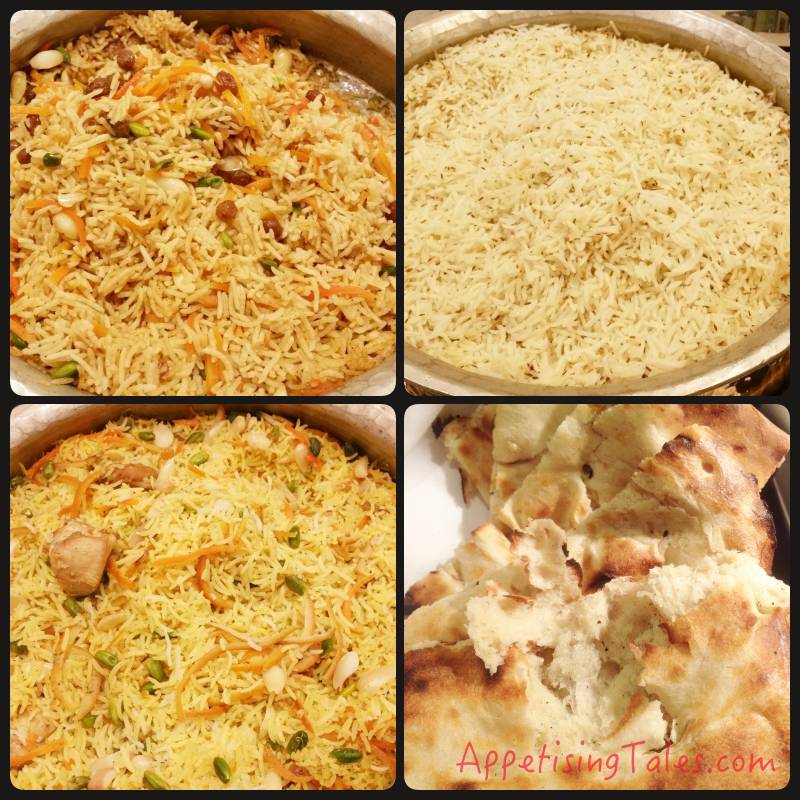 The Pulaos and Kabuli Naan. 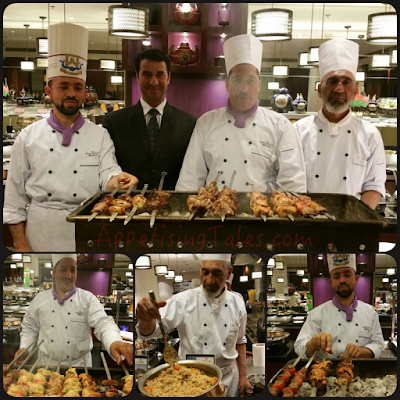 What I liked the most about this entire meal was the hospitable attitude of the chefs. They showcased the cuisine of their country with utmost humility, leaving us with an invitation to not only Kabul but also to savour food cooked in their homes.